Mini-Workshop: Honiton Lace, What Stitch Where? Suppliers in Attendance, other textile crafts will be present. Early in the 20th Century Devon County Council decided to fund classes in Honiton lacemaking in some South Devon schools and evening institutes in the hope of maintaining the local cottage industry of making this fine bobbin lace. By the end of the Second World War it was clear that lacemaking was no longer commercially viable, but classes continued in order to keep the traditional craft alive. They were taught by a group of teachers under the guidance of Mrs A L Whittaker, who was both teacher and technical adviser for the county. The present day lace teachers descend from this group, older teachers having passed on their knowledge and skill to their successors. Even though some classes fall below the number of students needed for county funding, they continue privately, and in other parts of England an abroad. 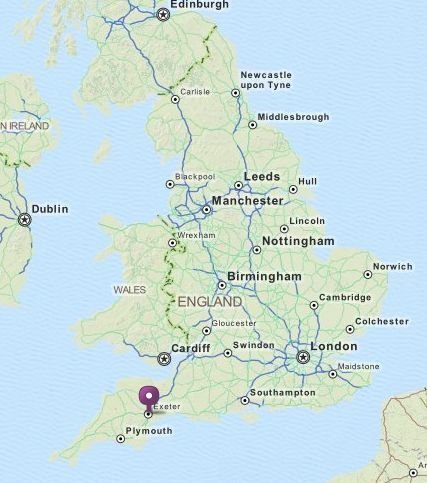 Although the emphasis is primarily on Honiton, Devon Trolly and Branscombe Point are also taught. 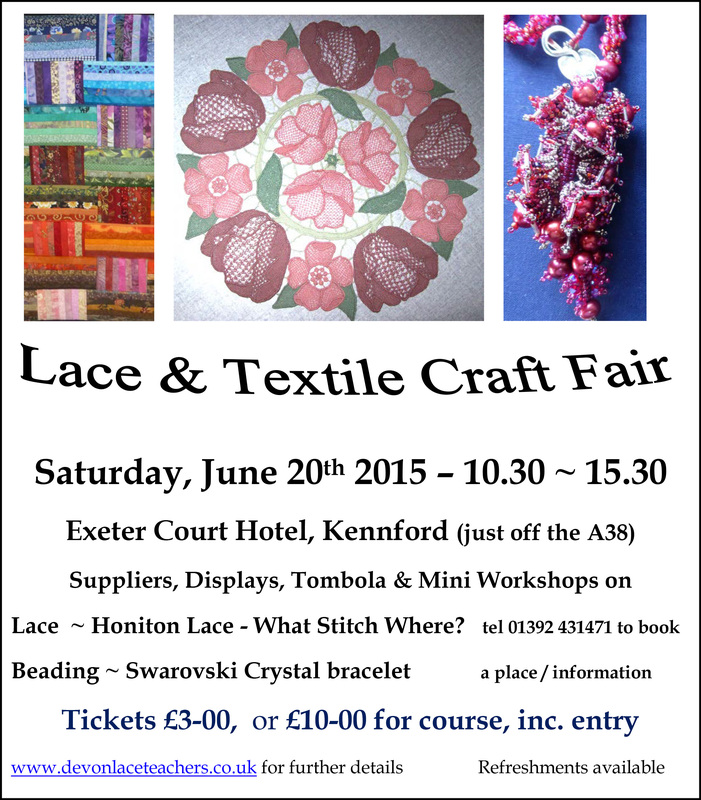 Meetings of the Devon Lace Teachers are held three times a year for membership interaction and event development. Note, the book “121 Honiton Lace Fillings, revisited” has recently been revised. See http://tinyurl.com/ocsg2ft for more information. This entry was posted in UK and Ireland. Bookmark the permalink.